Ac6 System Workbench for Linux - Classic Edition, helps you develop both your Linux platform and your applications. It provides a convenient, comprehensive and powerful environment for embedded system developpers. Ac6 System Workbench offers an integrated graphical environment to provide intuitive use. The range of tools gives the possibility to fully-configure and to build the kernel and the applicative layer to generate a complete Linux distribution according your expectations. All the tools contributes to accelerate and to make the development setting up easier and successful. Ac6 System Workbench is an Eclipse plug-in. 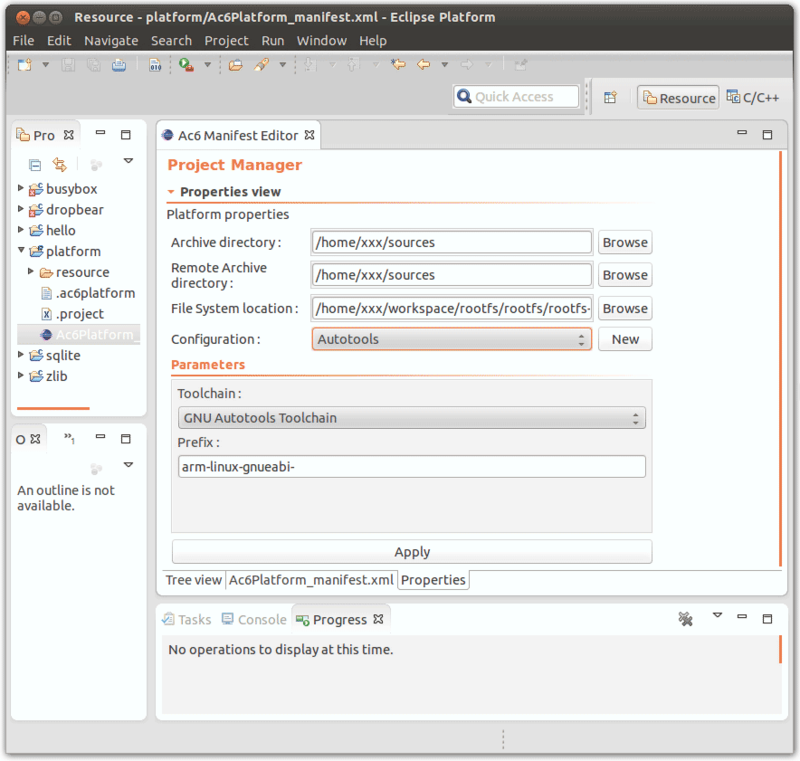 Eclipse is an open source Integrated Development Environment - IDE -, used and contributed by many companies. It provides a graphical interface and automatic tasks. This plug-in is working and is fully-integrated with the latest version of Eclipse. AC6 System Workbench enhanced the Eclipse features to support the development for the embedded world. System Workbench for Linux - Classic Edition, includes a pack of platform libraries and a libraries editor. A platform library is a set of package definitions which can be imported into your applicative platform as packages, thus accelerating platform development and preventing mistakes. Ac6 provides you with proactive support around Ac6 System Workbench for Linux - Classic Edition. The project philosophy is to provide tools that help the developers in to go through time-consuming phase, but at same time, to provide flexibility in configuration. Please contact us to discuss your needs and your suggestions to improve the product (including new manufacturers’ target platform support). For more information, download Ac6 System Workbench for Linux product brief: Ac6_System_Workbench_for_Linux-Classic-EN-20130308.pdf .